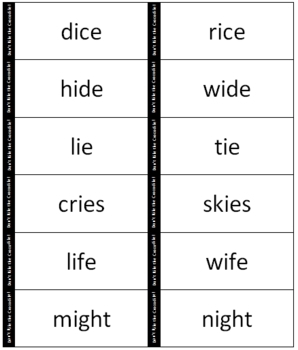 This phonics game helps students review long i words in a fun way. It is differentiated so there are 3 versions (2 on level, 1 for a challenge). This version of Bang is played with a partner. Players take turns drawing a card and reading the word long o word on it. 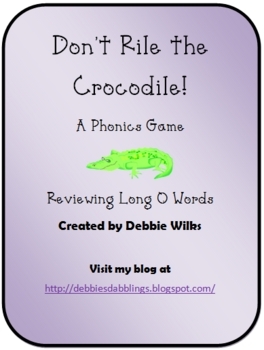 They keep the cards they can read until they draw a You Riled the Crocodile! card which means they lose all their accumulated cards. 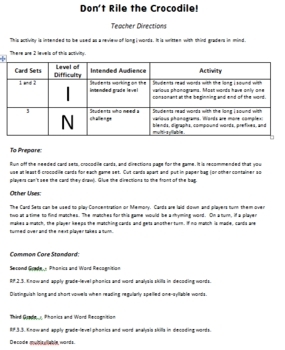 This game can be played during core reading instruction or Tier 2. 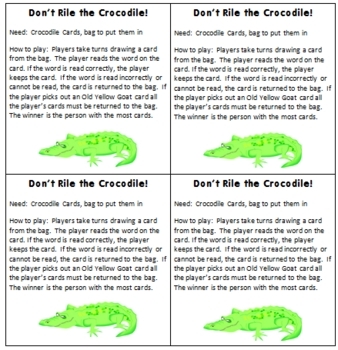 The cards from this game can also be used to play Concentration or for students to sort. When you download this product you will get 3 versions of the game, teacher directions, and student directions. Cards and directions will need to be copied and cut apart.